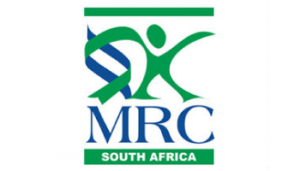 The MRC offers research training scholarships to candidates who have recently obtained a bachelors degree in medicine and are registered with the Health Professions Council. They should have completed their internship and community service, and be interested in pursuing full-time training in an established health research environment in South Africa. Scholarships are tenable for one calendar year at a time. Successful applicants may apply for renewal of the scholarships for a second and third year, which will be considered in competition with all other applications. Preference for renewals will be given to those applicants that have registered for a MSc Medical Science, PhD or MD degree. Provides an opportunity for full-time research training for medical doctors, in any field in the health sciences as part of their development towards a Masters degree. A request for applications is sent to the tertiary institutions with medical faculties. Applications are submitted to the MRC through the institutions post graduate bursary office. An applicant must consult beforehand with the research supervisor under whose supervision the research will be carried out.